Expanded mild steel walkway is basically thick expanded mesh, thicker than 4.5 mm before expanding. The surface of the material is very serrated to give exceptional grip. This is very good for vehicle ramps, trailers and transporters. 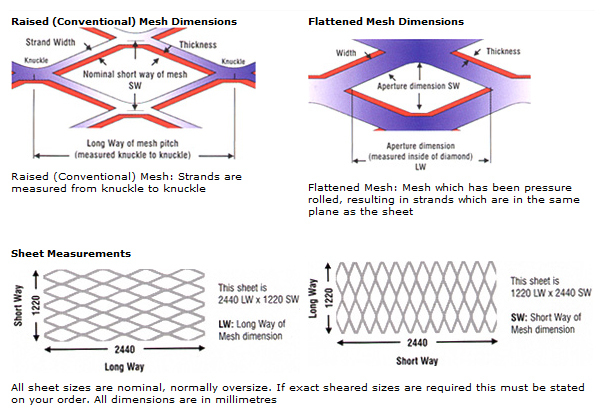 This mesh can also be used for bridges and gantry walkways.